Paper Crafts by Candace: Jaded Blossom Stamp release day 4: Cheesy Pick Ups 2! Jaded Blossom Stamp release day 4: Cheesy Pick Ups 2! Here is what I created using the new Cheesy Pick Ups 2! 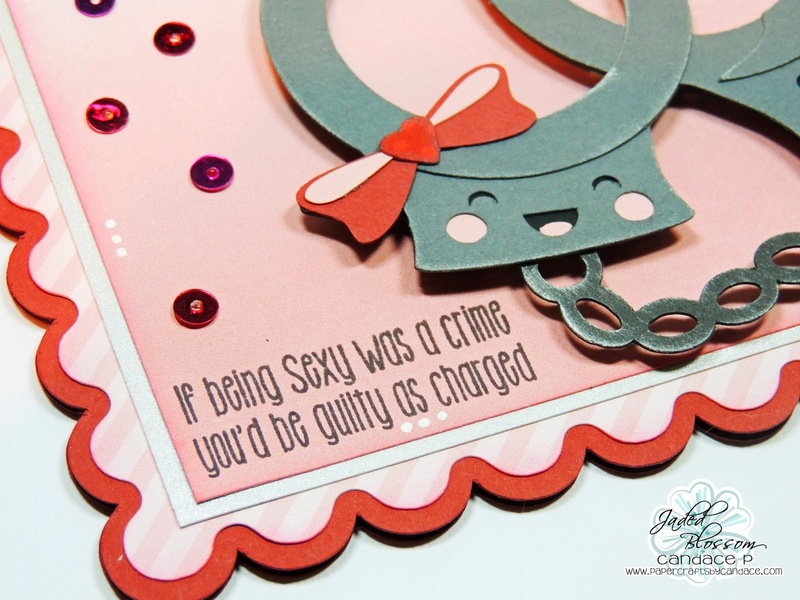 The Kawaii Handcuffs are new from SVG Cutting Files and go perfectly with the sentiment! The card base is also from SVG Cutting Files! 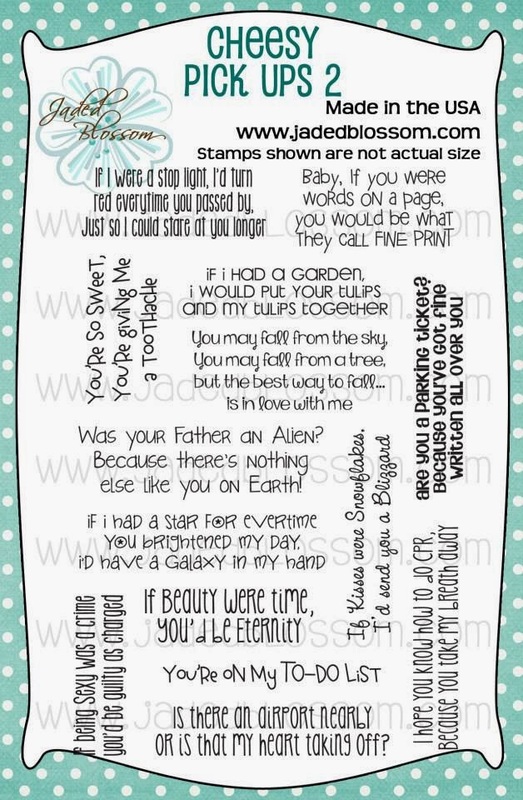 Here is a close up of the sentiment..
Love this and gotta get this svg! The cutest hand-cuffs I have ever seen! love this! Naughty card if it wasn't for the face looks like real cuffs. love it. Super fun card! I love the hand cuffs and the sentiment is awesome! love everything about this card! the shape, the little bow and of course the sequins! How cute! And I agree with Kate..a little naughty ;) I love the sequins!! I am a new fan of them!